Connoba provides an instantaneous communication method in a specified area and time. In a town, at a landmark or on an event, Connoba will help you share massages on common topics with anonymous people. In May 2016, we launched to consumer markets as an iOS/Android application. 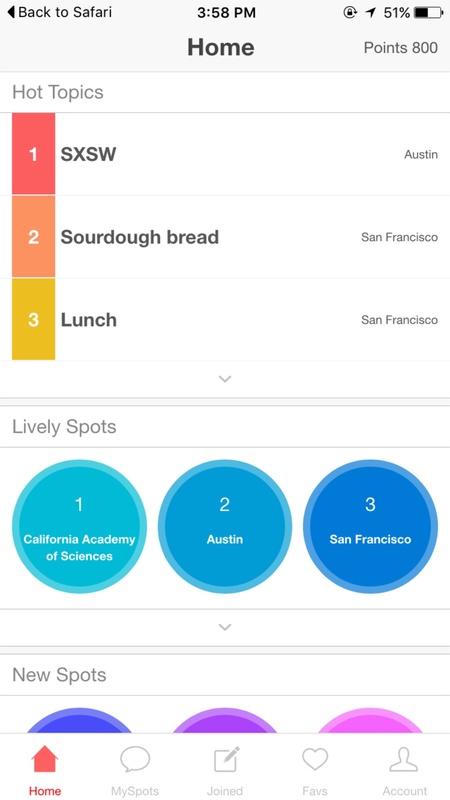 For sharing information on local restaurants, shops, traffics, events, and happenings with nearby people, Connoba brings them immediate information regarding the current situation of the season, the climate, crowds, and accidents. Because only users in a particular area can post a message, the noise posted by remote users without current knowledge is minimized. 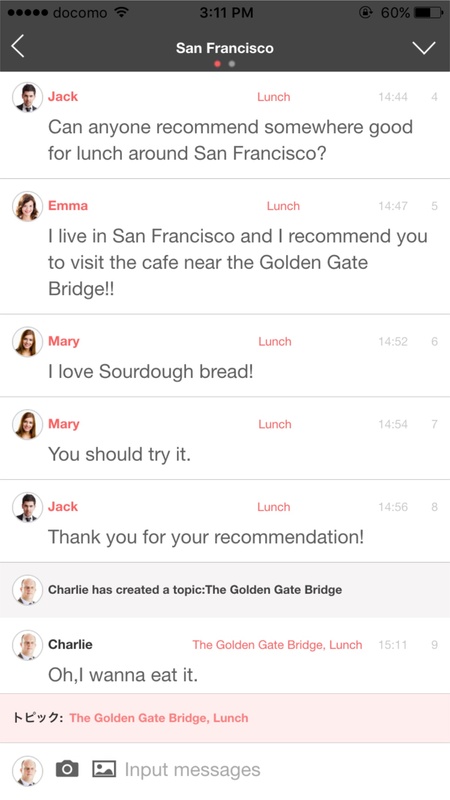 Apart from messages, users can also mention words of interests (i.e., topics) in 32 characters and vote on them. These topics are listed in the top-10 “Hot Topics” and are ranked in real time. Hot topics encourage users to write about the topics and will be attached in the posted message as hash tags for filtering on a timeline. 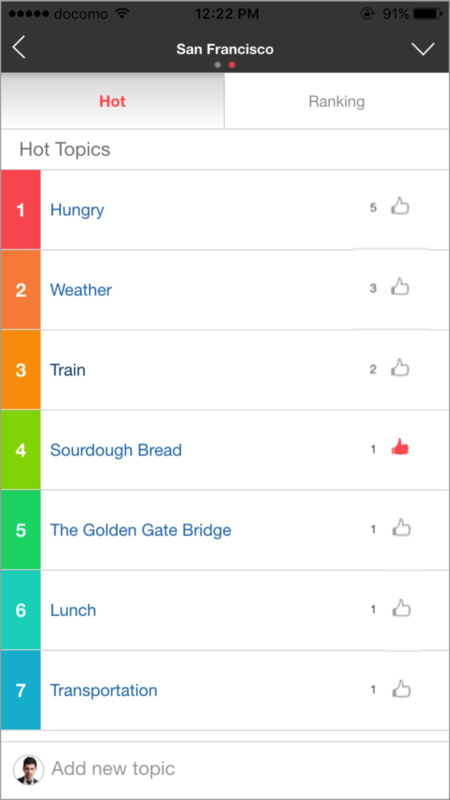 Even remote users can vote on the topics in the rankings to express their interests. This combination of voting on topics and posting of messages reduces the amount of noise in the timeline, thereby increasing the quality of the various viewpoints to be discussed. Conventional timeline-based systems such as Twitter, which provide tremendous stream and much noise, are difficult to track for users. 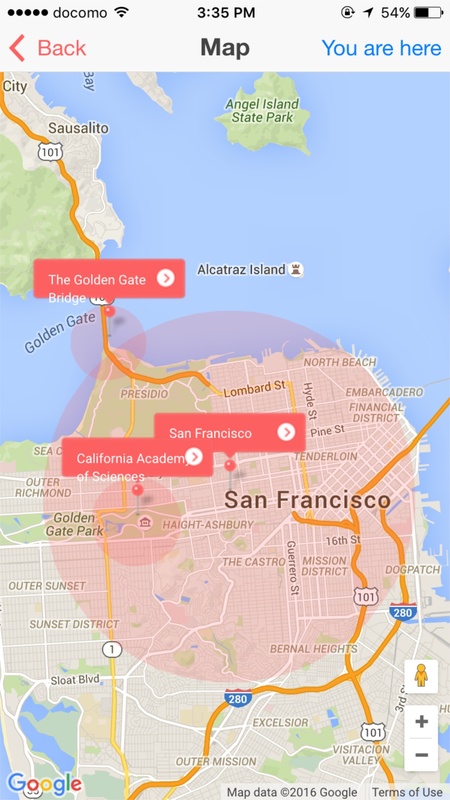 A location-based information stream enables users to find suitable topics and the information they desire. * Screen-shots are based on beta version. All information included herein is subject to change without notice. Start-up company established in 2015. Our mission is to realize social media without fatigue, through integrating users’ social actions to raise various viewpoints. We are providing platforms where young and old have their suitable role to contribute to their communities. Copyright 2015, 2016 Interole Inc.